PGCIL Recruitment 2019 - Apply Online for 42 Assistant Engineer Trainee Posts in PGCIL, Across India. 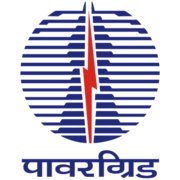 Online Applications are invited by Power Grid Corporation of India Ltd. from 31 Jan 2019 to 28 Feb 2019 for 42 vacancies. Full Time B.E./ B.Tech/ B.Sc (Engg.) in relevant Discipline from recognized University/ Institute. Eligible candidates may apply online at PGCIL's website (direct link is given below) from 31 Jan 2019 to 28 Feb 2019. View all Notifications from Power Grid Corporation of India Ltd.